Most sites provide just enough space to create a flat, single page view of your career. 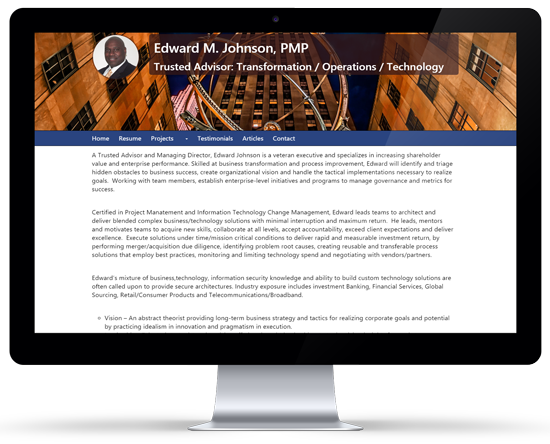 GigBlast™ provides you with a complete career website where you can create a more robust view of who you are, what you bring to the table and how your skills can be leveraged by perspective employers! Keep your online profile in focus up to date! Exemplification – create an essay that sets you apart from the rest! The "average" job posting receives 500+ responses and an attractive posting can receive 1000+ applicants. Typically, less than 10 people get interviewed. 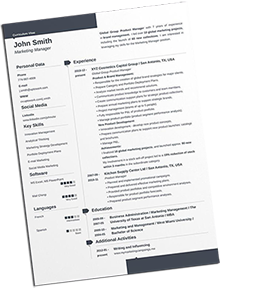 A well-crafted resume is a reflection of your ability to focus and communicate. Your resume should be compelling and clearly state why you would be the best choice. An effective resume is future-oriented, easy to read and scan. It should immediately communicate your value to a potential employer and what you can contribute, and highlight your strengths and accomplishments. At GigBlast, our writers work with you to create a resume that stands out from the crowd! 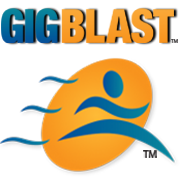 Get a membership to GigBlast and have your personal career website hosted for 12 months! * This is billed annually.